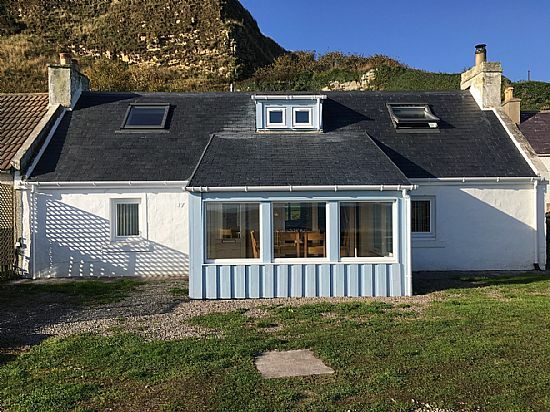 Sleeps 6, 3 Bedrooms, 1 Bathroom, 2 x WC, Private Parking, Front & Rear Garden, Chalet with Decking, Barbecue, Internet, Dish washer, Washing machine, Towels provided, Linens provided, Accept Credit Cards, No Smoking, Pets Considered. 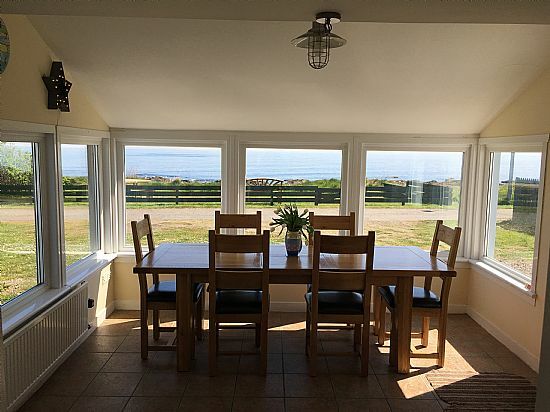 Bright Water Cottage is located in the small coastal village of Rockfield (near the larger village of Portmahomack) right on the shore of the Moray Firth itself, literally within touching distance of the sea! A large sunny porch enables comfortable dining for up to 6 people with uninterrupted ocean views. There is private parking directly outside the front of the cottage for up to 4 cars. 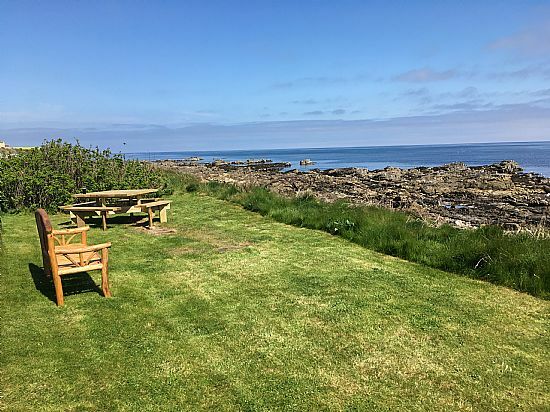 A small, private seaside front garden affords uninterrupted views across the Moray Firth, with an 8 seat picnic table for al fresco dining and an additional 3 seat garden bench. The owners, Suzanne & Richard, live next door and are on hand to assist with your requirements! Centrally heated and double glazed throughout with a small wood burning stove in the front room, the cottage provides a cosy retreat. The modern kitchen is equipped with an 8 ring gas hob, double oven, large upright fridge freezer, microwave, dishwasher, washing machine and LCD TV. There is also a small breakfast bar with additional seating for 3. There is one double bedroom with Queensize bed downstairs, fitted with a double built in wardrobe and useful airing cupboard. There is an adjoining downstairs WC. Upstairs there are two double bedrooms, one with a Queensize bed and the other with two good size single beds. Both upstairs bedrooms have sea views, as does the family bathroom which has an oversized bath, shower, WC and large heated towel rack. All bedrooms have LCD TVs. Flooring is solid wood throughout apart from the kitchen and porch areas which are tiled and therefore suitable for dogs. There is complimentary Wi-Fi throughout the entire cottage. To the rear is a sunny garden with a wooden chalet and large decking, ideal for BBQs and general relaxing. Depending on the time of year, bird and wildlife abounds. The dolphins are regularly seen all year round patrolling up and down the Moray Firth and occasionally, if you are eagle eyed, an otter or two!